Have you been looking for ways to improve your Zoysia lawn, but are unsure of what products are safe? Zoysia Farms is a great source as they only sell Zoysia-safe products. They have many easy to use, organic products that can benefit your beautiful, established Zoysia lawn with a little help from your hose. 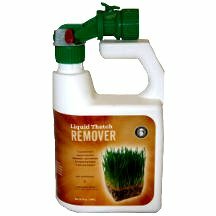 Liquid Thatch Remover– Lawn thatch is the layer of (mainly) dead turfgrass tissue lying between the green vegetation of the grass above and the root system and soil below. Thatch prevents oxygen and water from reaching the root system. This product can solve your thatch problem in just 2-3 months. 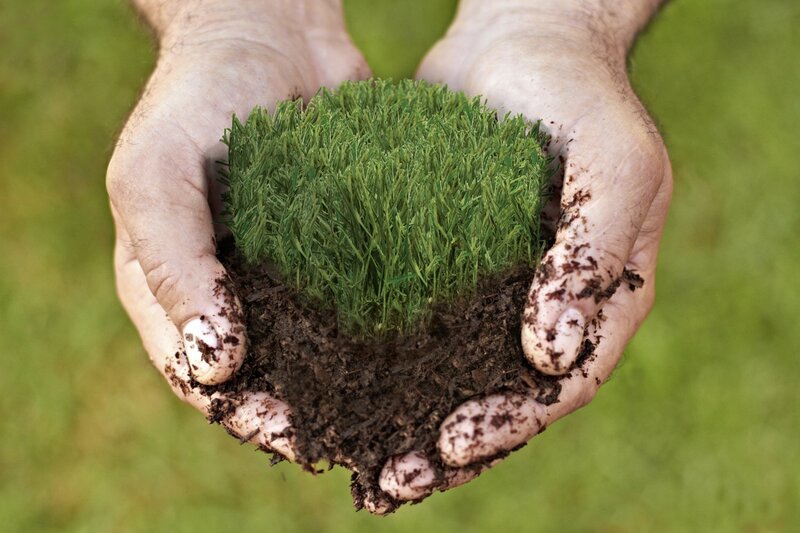 It turns the thatch in your lawn into a rich, organic fertilizer, which eliminates the need for power raking. The product itself however contains no fertilizers, herbicides, or pesticides. This is safe for use around pets and does not interfere with other lawn treatments. One container will treat 5,000 square feet and should be applied three times per year if you have a thatch issue. Just be sure that the ground temperature is at least 45 degrees before applying. This product is not available for use in Arkansas, Oklahoma, or Minnesota. 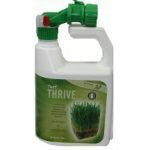 Turf Thrive– This product allows you to grow beautiful grass in dry areas or if you want to use less water. It strengthens the roots of your grass and stimulates growth. The increased root structure can then lessen evaporation, which results in less watering. It improves fertilizer effectiveness and is also pet-friendly. 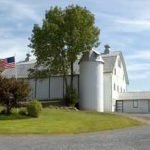 One container will cover 5,000 square feet and can be applied three times per year. For best results, you should apply the product in the evening followed by a light watering. Again, be sure that the ground temperature is at least 45 degrees. This product is not available for use in Arkansas, Oklahoma, or Minnesota either. 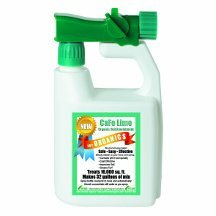 Café Lime Organic Liquid Lime- Lastly, a common soil issue is too much acidity. This product reduces the acidity in your soil and acts as a quick soil pH buffer. For Zoysia, the best pH range is between 6 and 7, so this product should be used if the pH is below 6. It provides essential ingredients for increased photosynthesis as well. One quart represents 125 pounds of bagged lime and will treat approximately 16,000 square feet. Overall, there are more and more organic products that are Zoysia-safe and can help improve your lawn within a short period of time. 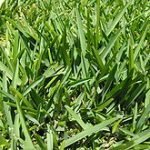 Feel free to check out Zoysia Farms’ website for other organic products that are not listed in this blog, which can eliminate pests and fungi from your lawn as well. Once established, Amazoy Zoysia can overtake many of the pesky weeds that try to invade your beautiful lawn. 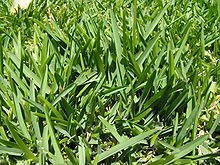 Zoysia grows very thick and dense, so crabgrass and most summer weed seeds are unable to germinate. However, whenever you first plant Zoysia, it needs some time to spread to be able to crowd out the weeds. Here at Zoysia Farms, we have researched and recently introduced a few different types of weed killers that are Zoysia-safe and will help keep your lawn weed-free while it gets fully established. 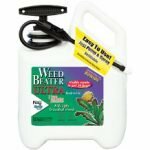 Bonide Weed Beater Ultra– This new weed killer is mainly used for broadleaf weeds as well as over 200 of the most common weeds. It is ready to use in its pump and spray container, which eliminates any mixing. The container holds 1.33 gallons of the product, so that is enough to kill thousands of weeds. This is not for sale in Alaska or Hawaii. As stated above, it is also safe for Zoysia, so it will only harm the weeds not your lawn. Season-Long Weed Control– We have recently introduced this weed control, which kills and prevents over 200 lawn weeds. It conveniently attaches to your hose for an easy application. It is designed to kill the weeds you can see and the seeds you can’t see. It may be used in spring, summer, or fall. This product protects your lawn for up to six months, and you can see results within 48 hours. One container will cover up to 7500 square feet, and it should be used whenever the grass is green (post-dormancy). This product is not for sale in New York. 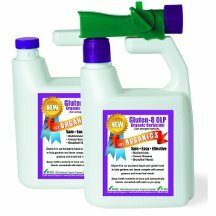 Gluten-8 Organic Herbicide- This product is water-soluble and is derived from corn gluten meal. It prevents weed seeds from germinating, and it helps lawns better compete with other annual grasses and broadleaf weeds. Two quarts treat approximately 2000 square feet, and it conveniently attaches to your hose for an easy application. 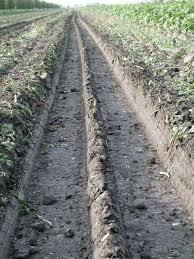 Attacking the weeds before they start producing seeds is the key to eliminating these nuisances. 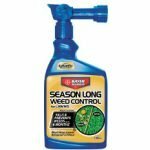 Weed identification is always a challenge, but most weed killers are formulated to get rid of a broad range of weeds. If you are having trouble identifying the weeds in your lawn, feel free to check out these sites for additional information: The Virginia Tech Weed Identification Guide http://oak.ppws.vt.edu/~flessner/weedguide/, the University of California Weed Photo Gallery http://ipm.ucanr.edu/PMG/weeds_all.html , and the University of Minnesota Extension Service “Is this plant a weed?” https://www.extension.umn.edu/garden/diagnose/weed/ . Overall, our Amazoy Zoysia is able to stand up to most invading lawn weeds. It just needs some time to become established enough to fight those weeds. We have introduced these products to help protect your Zoysia lawn and allow it to be weed-free right from the start. Being Zoysia-safe eliminates the worry of using a product that may be harmful to your grass. 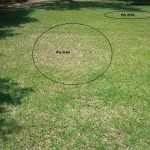 When is the Best Time to Plant Zoysia for My Area? Here at Zoysia Farms we are frequently questioned about when is the best time to plant for specific areas. Zoysia is best planted in the spring but can be planted through summer and into early fall as well. Every year is different but generally the planting falls into groups as shown below. We watch the weather every day and adjust accordingly for local conditions, so you don’t have to. 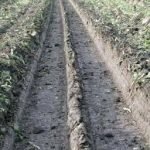 We only ship orders once planting conditions are suitable. Some states require the grass to be inspected by the agricultural department before shipping. Each of the states listed below require that inspection, and we can only ship to those states one time in each of the months listed for that state. There are no exceptions. Lastly, we do not ship grass to AK, HI, WA, or OR. Starting today, we are offering free shipping on all grass orders for the next 5 days! Offer is valid until January 30th. The free shipping offer is valid for both our freestyle plugs and our 3×3″ pre-cut super plugs. This allows you to place your order before spring comes to ensure that your order will be one of the first to go out and get a savings while doing so. We will not ship out the grass orders until it is OK to plant, so do not worry. Use the code M211 when placing your order on-line to get this deal. Feel free to also call in your order at 410-756-2311 Monday-Friday 8am-4:30pm EST. Share this offer with a friend! This offer is only done once a year, so order now before it is too late! 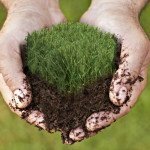 Are you looking to have a beautiful lawn and want to help the environment? Amazoy Zoysia is the right choice for you! Zoysia is very earth friendly and can have a positive impact on the environment. It is also very low-maintenance, so once it’s established, there is less work to keep your lawn beautiful! Because Zoysia is very low-maintenance, it can reduce fossil fuel use, water use and fertilizer applications. It also assists in filtering carbon dioxide, a greenhouse gas from the atmosphere, helping to clean the air we breathe. Unlike most grasses, Zoysia grows well on slopes by reducing erosion from excessive water and high winds. It grows very densely and helps limit the movement of pesticides and nutrients to non-targeted sites such as rivers and streams. Zoysia withstands temperatures up to 120 degrees, which reduces the need for water. 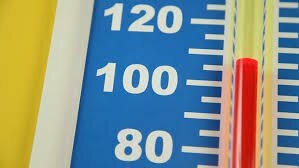 By absorbing the heat of the summer, Zoysia also reduces the air temperatures around your house, resulting in lower cooling costs as well. 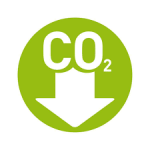 Lastly, Zoysia requires less mowing than other grasses, which reduces your carbon footprint. Easy to maintain Zoysia requires very little care and still manages to be safe for the environment. 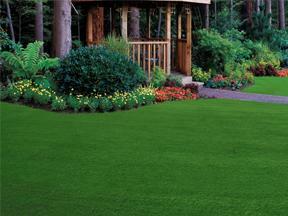 Once established, you can enjoy a beautiful Zoysia lawn while remaining earth-friendly. Zoysia grass was named after an 18th century Austrian botanist, Karl von Zois. 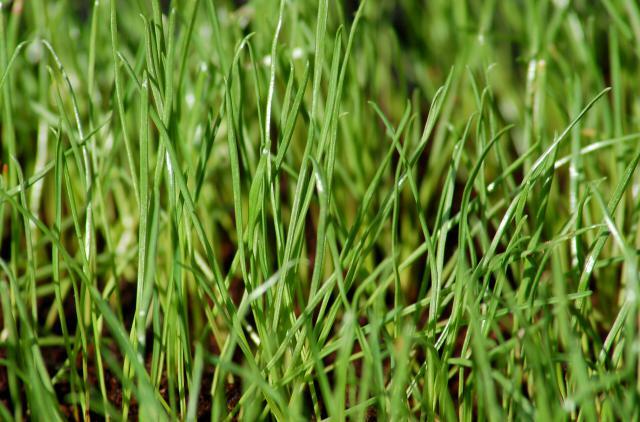 The grass originated in Asia and is native to China and Japan as well as many other Southeast Asian countries. In 1911, Zoysia was brought into the U.S from Manila by a botanist named C.V. Piper. The U.S.D.A. did not release Zoysia for commercial development until 1951. By 1953, Herbert Friedberg bought a farm in Maryland and worked diligently to perfect the growing of Meyer Z-52. 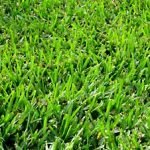 He believed that this grass would be the answer for America’s lawns, and he strived to make Zoysia available to homeowners rather than for commercial uses such as golf courses. Instead of focusing on his family’s bowling center business, he decided to dedicate his time to Zoysia and worked hard to prepare and ship the grass. Overtime, Friedberg’s advertising reached talk-radio pioneer Arthur Godfrey. Godfrey had come across one of the advertisements and talked about it on his nationally-syndicated radio show. From then on, Amazoy Meyer was on its way to homes around the country. 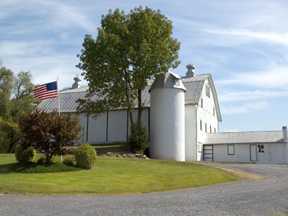 Friedberg’s success came from a combination of developing harvesting systems, processing the grass for shipment, and also educating homeowners on how easy it can be to have a golf course quality lawn. Today, Zoysia Farm Nurseries is an employee-owned company. The employees purchased the company from the Friedberg family in 1998. Therefore, each member is equally responsible for the customers to receive the freshest product and the best service possible. 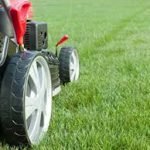 Can Zoysia Overtake My Lawn? Because Zoysia is a spreading grass, it is known to overtake other grasses and weeds in all types of soil conditions. Overtime, we have researched exactly which types our customers are working with to determine if Zoysia is able to overtake their lawns. Below, we have created a list of the common grasses that Zoysia will take over. 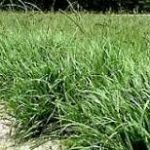 There are many more grasses that Zoysia can beat out, but here are just a few. 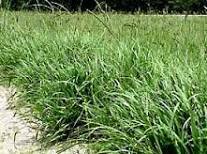 Bahia- This grass has a coarse blade and requires frequent mowing during hot weather. This grass does not do well on sandy embankments, whereas Zoysia thrives. Also, grassy weeds in Bahia grass can be difficult to get rid of. Bermuda- This grass has a medium texture and turns brown with the first drop in temperature. Zoysia does not go dormant until after the first hard frost of the year. 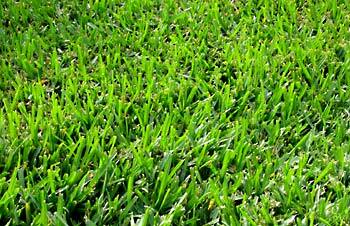 Also, once Bermuda grass is established, it is very hard to get rid of and actually grows flat. It also does not grow well in shady areas and needs to be watered weekly. Centipede- Due to severe iron deficiencies in the soil, this grass cannot grow in the western US; it thrives in moderately acidic soils. Hard freezes can kill the leaves of this grass, so it does not do well in areas that have intense winters. Also, this grass is very slow-growing and is not very salt tolerant. Zoysia is much better in these situations. St. Augustine- This grass does not tolerate a lot of traffic. It is a big thatch producer and requires much moisture. Because it is so aggressive, it must be mowed frequently to keep it under control. 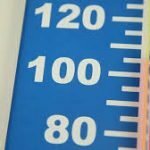 It cannot thrive in areas where temperatures dip below ten degrees for several hours. Zoysia is preferable because it requires so little water, less mowing, and is more cold tolerant. 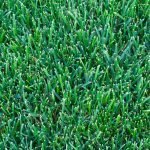 Kentucky Bluegrass– This grass will go dormant in hot, dry weather as well as during the cold winter months. It does very poorly in shaded areas and requires frequent watering to survive. 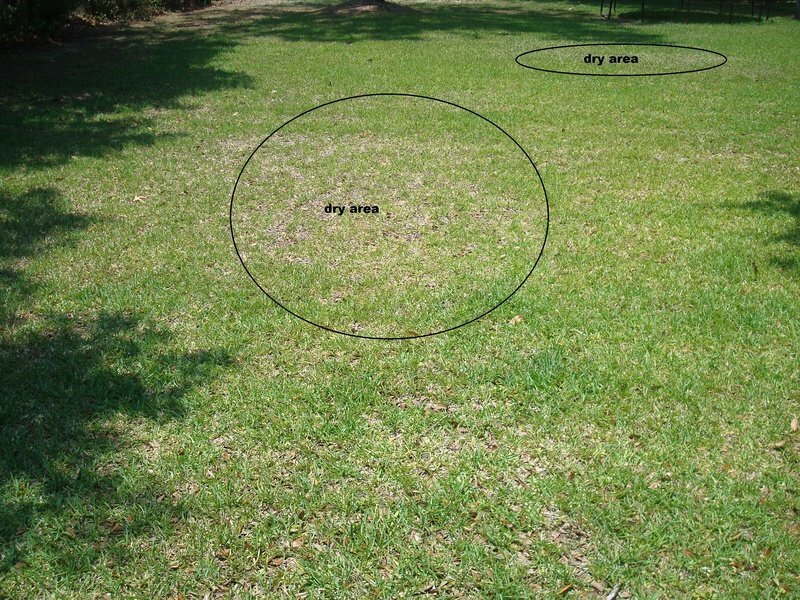 Zoysia really thrives in hot and dry conditions and will remain green during summer heat. Rye– Annual varieties of this grass can’t be used as a permanent grass so it is generally used only for over-seeding your current lawn. It prefers cool environments where conditions are not too extreme. It requires very frequent watering as well. Amazoy Meyer Zoysia can outdo almost every type of grass in most any situation. The grasses above are only a few of the common grasses that Zoysia can overtake. 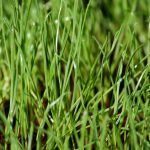 You can always take a sample of your lawn to a local nursery to determine what type of grass you have if you are unsure. 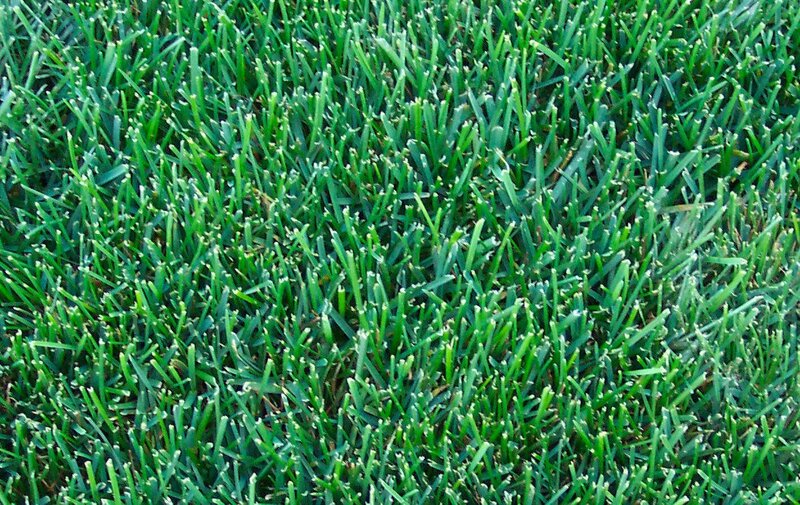 Zoysia is a warm season grass and does go dormant during the winter months in northern states. Keep in mind that Zoysia is very slow-growing, so it can take about 2-3 years to completely take over these other grasses. The benefits though last for a lifetime. Aeration involves perforating the soil with small holes to allow air, water and nutrients to penetrate the grass roots. Many people do this to alleviate compacted soil in their lawns. 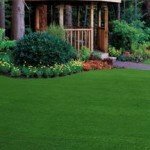 Although it isn’t necessary, it can be very beneficial to your grass. Below we have listed some reasons to help you figure out if your lawn is a good candidate for aeration. Soil is Heavily Compacted- If you get very heavy traffic on your lawn, it should be aerated during the growing season. If you have children or pets running over your yard, this can cause soil to be heavily compacted. Newly Constructed Home– If you just moved into a newly constructed home, usually the construction equipment has caused the soil to become heavily compacted. Normally the topsoil from a newly constructed lawn is stripped or buried, and the subsoil is destroyed by the construction taking place. Dries Out Easily– If your lawn dries out easily and feels spongy, you should aerate. Sometimes this means that you could have a heavy thatch build-up. You can always test this by digging out a piece of your lawn about four inches deep. If the thatch build-up is greater than ½”, you should aerate. For Zoysia, the best time to aerate is in the late spring. This way, the grass will be able to heal and take over the parts that you removed from the lawn. You should also make sure that the ground is soft and moist before aerating. It is normally efficient to aerate the day after a nice rain. 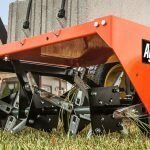 You can either use a spike aerator which pokes little holes in the ground with a fork-like tool or a plug aerator which removes larger pieces from the ground for better results. 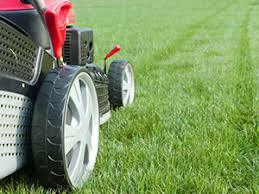 Plug aerators are usually more successful for a lawn. Remember to continue the normal care for your lawn after you have aerated. Aerating is not necessary, but it can be very helpful in the long run.